Helen Ahn is Dosan's wife. Her Korean name is Yi Hye Ryon. She came to America with Dosan in 1902. They were the first married couple to come to America from Korea. Her contribution to the Pioneer Korean community in America and her sacrifices for the Independence Movement and Korean people are more important than many people understand. Without her solid support Dosan could not have been as effective of a leader as he was. She was the center of the early Pioneer Generation community for many years. Her life was extremely difficult, but, she never gave up her love for Dosan and for Korea. Her story deserves more recognition. Her Korean name is Yi Hye Ryon. She came to America with Dosan in 1902. They were the first married couple to come to America from Korea. Her contribution to the Pioneer Korean community in America and her sacrifices for the Independence Movement and Korean people are more important than many people understand. Without her solid support Dosan could not have been as effective of a leader as he was. She was the center of the early Pioneer Generation community for many years. Her life was extremely difficult, but, she never gave up her love for Dosan and for Korea. Her story deserves more recognition. Dosan was fortunate to have married Yi Hye Ryon. She was born in Pyongyang on April 21, 1884. She took the name Helen when she came to America in 1902. Helen's father had arranged her marriage to Dosan. He was a teacher in the village. Dosan did not want to marry and used the excuse Helen was not Christian. Helen's father and the whole family converted. Dosan said she was not educated. Helen and Dosan's sister, Ahn Shin Ho, were sent to Seoul to go to school. There was no obstacle left for Dosan to keep from marrying Helen. Dosan planned to go to America and study Christianity and Western education. He told Helen to wait about ten years for his return. She would have none of that and was determined to marry Dosan and go with him. A few days before they left for Korea they were married by Rev. F.S. Miller at the Severance Hospital site near Sodaemun, Seoul's South Gate. 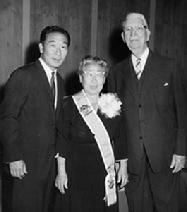 Helen Lee Ahn was a driving force in the Pioneer Korean American community. She worked hard cooking and cleaning in houses and hospitals. She worked in orchards and vineyards. She helped organize the families in the Korean community. 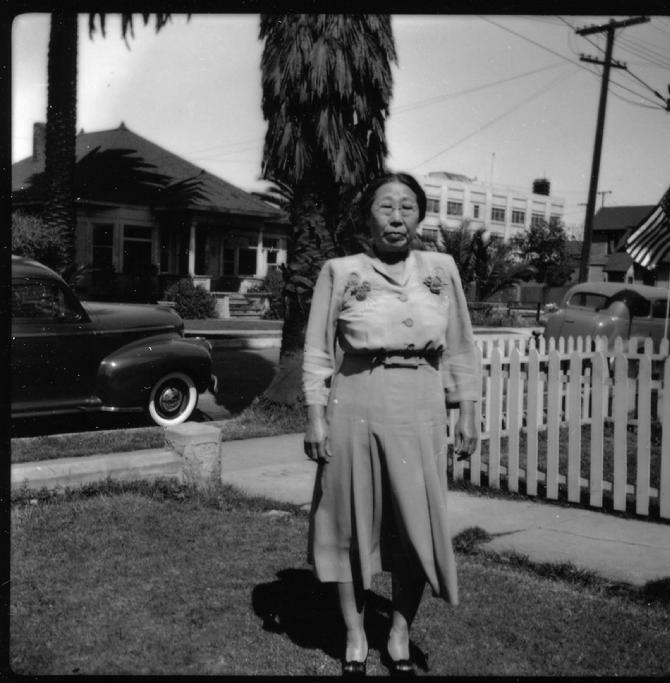 Since she was one of the first Korean women to come to California she knew how to use her experiences to help other women adapt to domestic American life. She was kind of like a social worker and even marriage counselor. She supported the Independence work and the Young Korean Academy program. She was the first president of the Korean Patriotic Women's Association in 1919. She gave her hard earned money to support her husband's work as an activist and reformer. And, she raised five children, mostly by herself. She did all this without complaining. She saw her sacrifices as her duty to her husband, her family and her country. She remained a Korean citizen. Since all her children were born here and US citizens, she made sure they participated and voted. Helen Lee Ahn was a courageous strong woman. In 1963 she made one trip back to Korea after leaving in 1902. She traveled on her Korean passport. Her original passport number was No. 52 issued by King Kojong. Helen Lee Ahn passed away on April 21, 1969. Yes, the same day as her birthday.